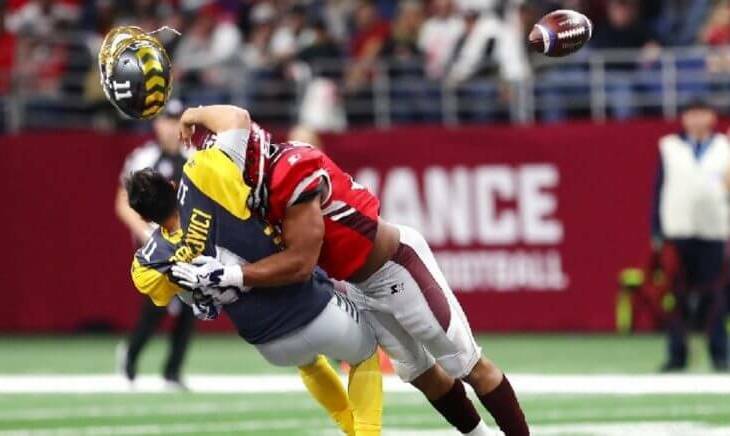 Rest in Peace – AAF : 2019 – 2019. Sadly, the Alliance is now defunct which is a damn shame for football fans. 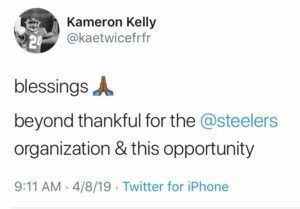 The short-lived league showcased talent that exceeded expectations in many respects, save for the profoundly bizarre, albeit entertaining quarterback play. 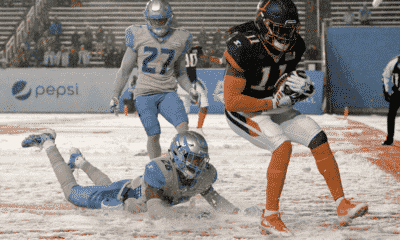 Looking back on some of the good, the bad, and the ugly that the AAF had to offer, we can actually learn about the NFL in ways that otherwise might have gone unforeseen to the casual observer. 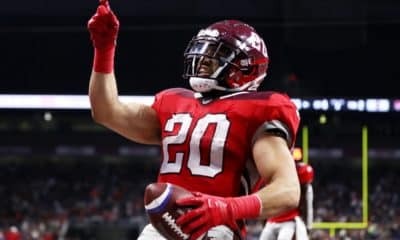 The running backs of the AAF impressed. Runners like Jhurell Pressley, D’Ernest Johnson, Ja’Quan Gardner and De’Veon Smith posted the highest yards per attempt (y/a) while never really getting a shot in the NFL. Meanwhile, the bigger NFL names, Trent Richardson, Zac Stacy and Kenneth Farrow posted some of the worst y/a numbers. Furthermore, Richardson’s longest run of the season was 18 yards. Former 2nd round draft pick Bishop Sankey finished at 3.97 yards per carry behind starter Gardner (undrafted out of DII Humboldt State) at 4.86 y/a. Farrow was signed by the Dolphins, but neither Gardner nor Johnson has been signed. Give these guys a chance! Exhibit A: Former San Diego/Los Angeles Chargers kickers Nick Novak and Younghoe Koo hit 27 out of 30 field goal tries through eight games. Where was this in the big leagues, fellas? For a cursed team with historically bad luck (in 2016, they lost their last four games against 1 – 30 million odds) and a team with the worst special teams this decade, they sure have had their castaways thrive with less pressure on the line. Despite no extra point attempts in the AAF, the kicking was fine. Which makes you think about how expendable the position may be in the NFL, with the exception of Justin Tucker who is of course a freak of nature. Traditional knowledge in the NFL has always been that wide receivers are tantrum-throwing divas who are always paid more than they deserve. Distractions. Easily replaceable when they become too toxic to the team. We may have to re-think this theory after watching their would-be competitors stink it up all over the field. As it turns out catching passes is in fact hard. So hard in fact, that the AAF website apparently stopped tracking the statistic after week 2. The dropped-passes were frequent and often mind-boggling. Even Johnny Manziel’s first passing attempt resulted in a drop. 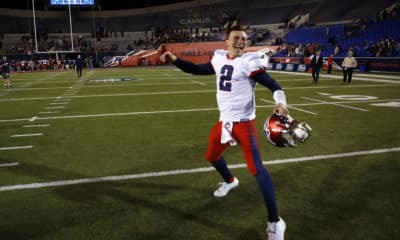 AAF QBs threw 70 TDs and 67 INTs while completing 59% of their passes. Yikes. Garrett Gilbert was the cream of the rotten crop and has recently signed with the Browns. Also congratulations to Brandon Silvers who completed 80 passes and is on his way to being the heir apparent to Blake Bortles in Jacksonville. And the QB hits were brutal. There must have been 10 concussions on QBs this year. How do you not see this coming? As a San Diego Fleet fan, I feel sadness for my fellow shipmates. We witnessed professional football back at ol’ Jack Murphy Stadium for 4 glorious days. I will miss the weird 11-8 halftime scores, the games featuring more interception return yards than passing yards, the drones, hot mics, all the failed 2 point conversions, and even the 1 contest with more dropped passes than actual completed passes. Lest I forget the Fleet t-shirt I ordered hours before the official AAF site crashed that is presumably in the mail (who knows?). I hope it arrives, I will wear it with pride.